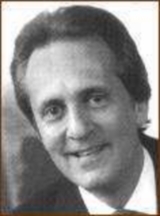 Alan Gelband founded Gelband & Company in 1975. He has been an investor, analyst, and investment banker since 1969. He earned a BBA and an MBA from the University of Michigan Business School, where he also wrote his Doctoral Thesis entitled, "Alternative Ways of Going Public." Mr. Gelband has completed over 100 investment banking transactions, and he is well regarded in the private equity community for identifying compelling investment opportunities. Mr. Gelband is a past President of the Association for Corporate Growth International, where he has served on the board of directors for the past twenty-two years and was recently named an honorary lifetime Director. He funded the Alan Gelband Merit Scholarship at the University of Michigan. He currently serves as a member of the Development Committee at University of Michigan Business School. He is a member of Beta Alpha Psi Phi Kappa Phi and Beta Gamma Sigma scholastic honoraries. He served a five-year term as Trustee of the Calhoun School and during that time as chairman of the Financial Committee. He is married and has two children.